Since 1961, Teen Ranch has existed to introduce young people to Jesus Christ through an affordable, enjoyable, educational and safe camp experience. This experience is provided by a community of caring, growing Christians. 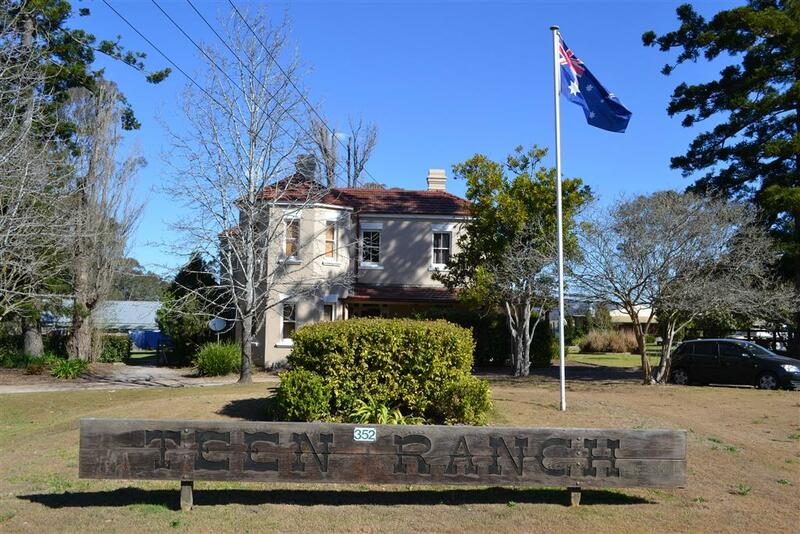 Located in Cobbitty, near Camden (one hour southwest of Sydney), Teen Ranch is a non-denominational Christian camp, registered as a non-proft charitable organisation, and has been in continuous operation since 1961. We are situated on the Nepean River overlooking the beautiful Camden Valley. Each year Teen Ranch greets approximately 6000 campers through its many camps. The full-time staff team consists of 25 people, and the volunteers number over 70 every year. Through the vision of founder, Doug Gibb (who enlisted help from some Canadians in the late 1950's while he was working overseas), the concept of Teen Ranch was enthusiastically accepted by many Australians. The result was many who donated time and funds to purchase this property in historic Cobbitty, where the official opening and dedication was held in 1961. With only one building on the site at that time - the "Whitehouse" (a heritage listed house dating back more than a century) - there was a scramble to get others built in order to extend the quantity of campers. As the facilities developed over subsequent years, the camping program was extended to include not only holiday camps, but midweek and weekend camps as well. Teen Ranch is managed by two Directors (living on-site) who answer to a Board of Directors. The first Resident Directors were a Canadian couple, Mel & Janet Stevens, who stayed for the first five years before heading back to Ontario to set up Teen Ranch Canada (which is still going strong to this day). Kevin (and his wife Babs) Eastment, one of the original young team and a junior Board Member, made himself available to take over the reins for a six-month period and ended up staying as Resident Director until 1997! The subsequent Directors have all been past volunteer staffers as well: Peter & Brownyn Rolfe (1997-1999); Jim Good (1999-2001); Rohan & Julie Offord (2001-present). Teen Ranch is a non-profit organisation, and is not associated with one particular church or denomination. Because of this, any financial backing and support has to be acquired through independent means and donations. Innovative Business enterprises provide a stronger financial backbone to the mission (see the links below). Our intention is to ensure our camp fees remain affordable for all.